In our extensive range of products, we are offering a wide assortment of Wooden Fish Aquarium. In addition to this, we also provide installation and maintenance instructions to our clients. These products are widely used in various places like homes, offices, receptions and other places and are available at economical prices. Walk, get up from awkward positions, walk on uneven surfaces and grasp objects. - It can walk, crouch and get up off the floor as swiftly and smoothly as a human. - Capable of working alongside humans in a range of industrial and domestic settings. - Said to be the strongest and most agile of humanoid robots. 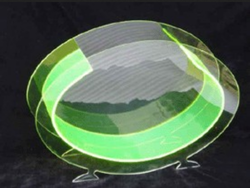 We are Leading Manufacturer of Acrylic Aquarium it is un breakable and with high capacity. 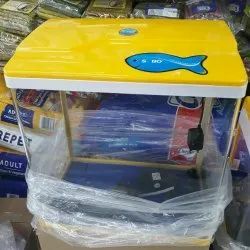 To fulfill the assorted requirements of our clients in the best possible and trusted manner we are passionately engaged in offering a wide range of Commercial Glass Fish Aquarium. Big fish aquarium with 12feet x 8feet for 24mm thickness with biofilter for fresh water and marine filter for salt water. Transparent one-piece moulded plastic aquarium. Approximate capacity 12 litres. Dimensions: 305 x 203 x 203mm.